Prompt: Entertainment engineering brings to light some of the more light-hearted aspects of engineering. Entertainment in itself is one of America’s most popular pass times and encompasses subjects such as film, television, music, games, reading, comedy, theater, circuses, magic, street performance, parades, fireworks, animal shows, and the list just goes on and on. Entertainment holds a very special place in the world and always has; whether in the form of the plays of Ancient Greece, the jesters of the medieval times, the shooting exhibitions from the days of the wild west, the black & white films that the soldiers of early wars watched to forget about their harsh reality, or the 3D special effects that seem to captivate us all on the building-sized screens of today, entertainment has always been there to help relieve the stress of those who indulge in it. Today this is especially important for the citizens of this great country as we work longer hours, spend more time stressed, and find the well-appreciated release provided through entertainment to be more and more refreshing. For all these reasons and many more, the entertainment industry is here to stay and will constantly require great engineers to keep it afloat and help it to progress. Pick 3 forms of entertainment and describe how a mechanical engineer could contribute to them, or 1 form and 3 considerations. One interesting subset of physics and engineering that is very often modeled in movies, but is vastly overlooked, is that of fluid mechanics. Although not usually noted, fluids (liquids, gases) are not the only things that can be described by fluid mechanics; fluid mechanics is often applied to study the movement of plasmas and the flow of granulated material (i.e. sand) for example. Perhaps more significantly, fluid mechanics finds vast application in the way of FSI (Fluid-Structure Interaction), which finds usage in all kinds of fields, such as the movement of bridges in high winds, aeroacoustics (such as was seen in my earlier post on owl stealth), and the effect of water hammer on piping materials to name just a few applications. An interesting phenomena that is frequently seen in movies, and that requires a lot of work in the way of application of fluid-structure interaction theory and computational physics, is the movement of fields of tall grass in the wind. This motion is actually quite comparable to the movement marine plants in tidal currents and thus is often analyzed similarly. To learn more about the movement of grass fields in the wind, head on over to FYFD. Additionally, if anyone has ever seen an action movie, chances are there was some shooting in it, and chances are if there was a lot of shooting in it, someone got shot. In some particularly gruesome movies, the bullet is shown to impact the skin and create the wound. 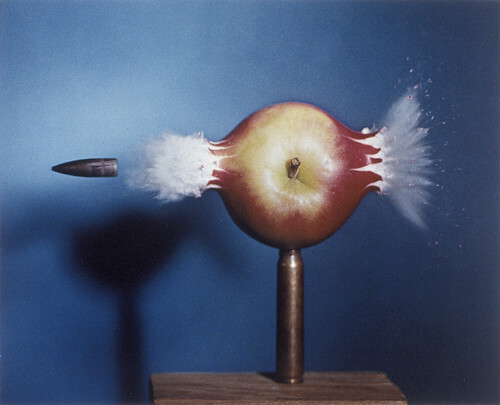 The field of terminal ballistics (consisting of entry, internal, and exit ballistics) is highly complex and to model the bullet-target interaction correctly takes a vast knowledge of materials, fracture mechanics, and many other fields of physics and engineering. Lastly, explosions have become a focal point of the majority of movies out there these days; their modeling requires a vast knowledge of combustion theory, flame-front propagation, fluid mechanics, heat transfer, and (once again) fluid-structure interaction. So just remember, next time you see a movie and think to yourself ‘How do they make it look so real?’ or ‘These special effects are incredible!’, you have the worlds of science, technology, engineering, and mathematics to thank for helping to create a realistic experience! to read content from other writers and use a little something from their web sites.